Classic Car Notes and other things. Getting ready for the car show. This is a daily driver. 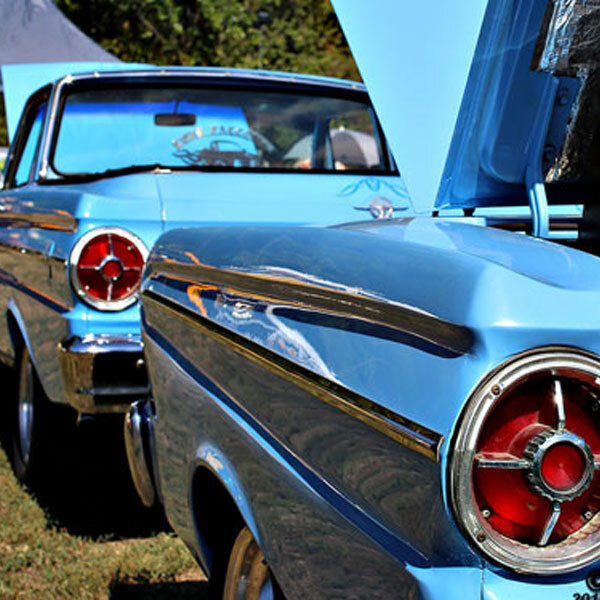 Showcasing the Ranchero & the Blue Q is a wonderful experience, especially when the car show is a local event. Less drive time. Meeting up with other car show enthusiast for a day of fun showing off our rides is a lot of fun. The response we receive from the Ranchero is wonderful but once the viewers find out that the matching trailer is a bbq, well it is priceless. We are taking the ride to meet up with the Road Kings this weekend at Johnny Carson Park. This is a great car show venue because it is at a park with grassy knolls, giving the classic rides a background you can't have with a street car show. The Falcon Club will be in attendance and the thought of so many Falcons and Rancheros lining the hillside will be great. If you are attending the show stop by and say hello.